It is widely accepted fact that the roots of world’s Astronomical knowledge lay in the age old Vedas of India but no one dares to dive into that complicated ocean. The Indian Nakshatras, Rashis, Calendars, Planetary position their precessions astronomical links of Indian festivals & Puranic Stories etc…! if you are interested in such fascinating secrets of the Vedas please open this book!! (late) Prof. K.D. Abhayankar a world renowned scholar of Astronomy excels in this classical work which is the fruit of his five decade long search and research!!! Astronomy is an ancient science. India had traditional fascination for astronomy from Vedic time. There are reports of naked eye observations of some celestial events in Vedic texts. Ancient observations of moon are recorded in Bigveda. Vedic calendar has a long span starting from about 7000 B.C. The earliest systematic text, called Siddhanta, dealing with the motions of planets, computation of eclipses of Sun and moon etc., was composed by Arya Bhatta I in 5th Century A.D. Some Indian scholars published their works on Siddhanthic astronomy from 400 A.D onwards in recent past Thus there is a need for a comprehensive text dealing with the development of astronomy prior to 400 A.D. The present volume compiled by an eminent astronomer Prof. K.D. Abhyankar describes astronomy during pre Siddhanthic period. Some of the basic modern concepts of positional astronomy needed for proper understanding of computational procedures in calendar preparation are also explained. This book consists of 12 chapters designed to describe (i)Indian Nakshatras and Bashis, (ii) Indian calendars of different periods and (iii) Jain — Puranic astronomy. Chapter l describes the growth of Astronomy in India from Vedic period. Some basic concepts of modern astronomy, such as earth’s motions, celestial coordinates, time and phenomenon of precession are explained in chapter II. These concepts are essential for proper understanding of computation of planetary position. Chapter III deals with Nakshatra and Rashi systems, Lunar months and other topics related to the calendars. The next four chapters are devoted to a detailed study of various Indian calendars, namely Vedic, Luni - solar and Vedang Jothish calendars. It is shown, on the basis of modern value of precession rate and the position of sun, moon and stars as given in Vedic text that the epoch of Vedic calendar dates back to around 7000 B.C. 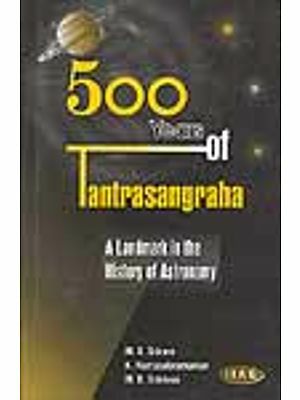 A detailed account of Yuga systems and importance of Maha Sivaratri in astronomy context are also covered in these chapters. A brief discussion of growth of Astronomy during Jain -Buddhist and puranic periods with the main emphasis of yuga system is given in chapter VIII. It is of interest to note that the phenomenon of precession was probably discovered by Vriddha Garga around 500B. C. while western astronomers believe that this phenomenon was discovered by Hipparchus in the 2“d century B.C. In chapter IX, the origin of Siddhanthic astronomy, epicyclic models and standardization of time and calendar are explained. This chapter ends with a passing reference to the role of Islamic scholars in propagation of astronomy and advance of modern astronomy. The author takes up, in chapter X , the discussion of present - day Panchangas and stresses the need for integration of different Panchangas in order to evolve F standard Panchanga for the entire country, based on modern astronomical methods. Finally, in the last .two chapters, the author makes an attempt to relate some of the puranic stories to astronomical phenomena. In this context the story of Samudra Manthan is depicted as symbolic to the discovery of Zodiac constellations. The first appearance of the star Agastya (Canopus) south of Vindhayas around 5000 B.C is related to the famous puranic story of Sage Agastya crossing the Vindhya Mountain from north to the south side. Methods of calculation of Heliacal and nocturnal rise of Nakshatras, Bhaganas and Mahayuga are indicated towards the end of the volume. 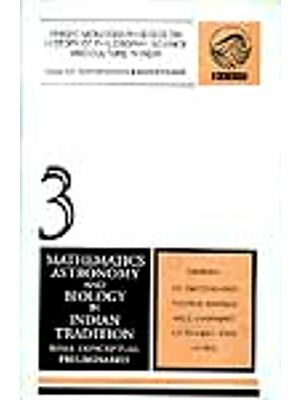 Some reprints of author’s recent research papers related to Indian astronomy also included. As this volume covers exhaustively all aspects of Pre - Siddhantic Indian astronomy, strongly feel that this book will certainly bring the awareness in the readers about our glorious tradition of our ancestors in Khagola Sastra. May be, in order to achieve this goal and also in view of its contents, the author, Professor Abhyankar contacted the institute of Scientific Research on Vedas (I-SERVE) set up with the divine blessings of His Holiness Sri Ganapathi Sachchidananda Swamiji and headed by renowned Vedic scholars Brahma Sri Kuppa Venkata Krishna Murthy for publication of this volume and in turn, Sri Krishna Murthy readily came forward to publish this volume. l here by convey my deep appreciation with respect to Sri Krishna Murthy of l-SERVE for publishing such a valuable book. The author, Professor Krishna Damodara Abhyankar Garu, a renowned scholar, an outstanding researcher in Indian and modern astronomy and my beloved teacher passed away on 8th November,2007. His sad demise is a great loss to the astronomical community.1 May his soul rest in peace.